Rackspace is waging a losing battle against the likes of Amazon, Google and Microsoft. This post is part of TheStreet's ongoing search to find the Worst Stock in the World. Updated from Feb. 4 to include Rackspace fourth quarter results in the fifth and eleventh paragraphs. In what could be the most important election of 2016, TheStreet is looking for The Worst Stock in the World and we need your help. In these times of market turbulence, it's our job to watch out for the worst investments that can sink your portfolio. Our search is not merely limited to the worst stock in the Dow or S&P. We are going global and accepting nominations from our readers for the absolute worst stock in the world. This article is part of an ongoing series talking about these stocks and why they're the worst. 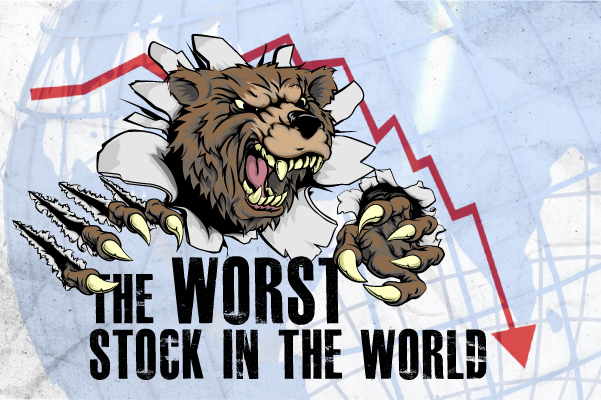 If you have an idea as to what the worst stock in the world is, email us at worststock@thestreet.com. Imagine a company that's part of one of the largest secular trends ever seen in technology -- cloud computing -- and then imagine that it's going up against the likes of Amazon (AMZN - Get Report) , IBM (IBM - Get Report) , Alphabet's (GOOG - Get Report) (GOOGL - Get Report) Google, and Microsoft (MSFT - Get Report) , and has nothing to compete with. The San Antonio-based Rackspace competes against cloud computing companies, but it's really more of a hosting company with a hybrid model that lets businesses run their software on either a private or a public cloud. In the hybrid space, Rackspace is going up against IBM, as well as Amazon, with the EC2 portion of Amazon Web Services. Amazon continues to cut prices, having recently cut them for the 51st time (on all AWS aspects) in early January. That day, Rackspace saw its shares drop 8%, one of the largest single-day drops in recent memory. Shares have fallen nearly 50% over the past year. Rackspace has tried to mitigate some of the concerns about the juggernaut that is AWS by announcing support for AWS customers, but that partnership was only announced in October, several years too late. In the fourth quarter, Amazon Web Services generated $2.4 billion in sales, up 69% year over year. By comparison, analysts surveyed by Thomson Reuters expect Rackspace to generate just $521 million in its fourth quarter, a stark difference. The company's attempt to provide support on top of hosting services for customers that need a partner such as Rackspace or AWS has been anything but successful. Over the past two years, as Rackspace as tried to reinvent itself, shares of Rackspace have declined 45%, indicating the transition has not gone well in the eyes of investors. The poor performance comes at a time when venture-backed companies are increasingly finding it more difficult to raise money, a fact that adversely affects Rackspace, as well as its competitors, since some of those venture-backed companies are its customers. Though Rackspace has shifted its focus from small businesses to medium-sized businesses, it doesn't have the diversification of its larger brethren to help weather any kind of storm. The fundamentals seem to back this up, when looking at various segments of the cloud market and the hosting market. 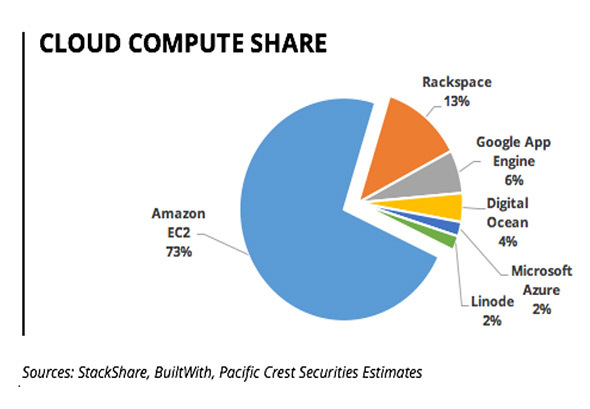 According to Pacific Crest Securities, Rackspace owns just 13% of the cloud computing market, compared to 73% for Amazon EC2. While Microsoft and Google have smaller market shares than Rackspace, revenues for both companies have grown significantly, with Microsoft recently announcing Azure revenue grew 140% year-over-year in constant currency terms, while revenue from its premium services more than tripled. Even worse is Rackspace's market share in the Domain Name System (DNS) market, which allows developers and businesses a way to route end users to apps, taking web addresses and turning them into numeric IP addresses. 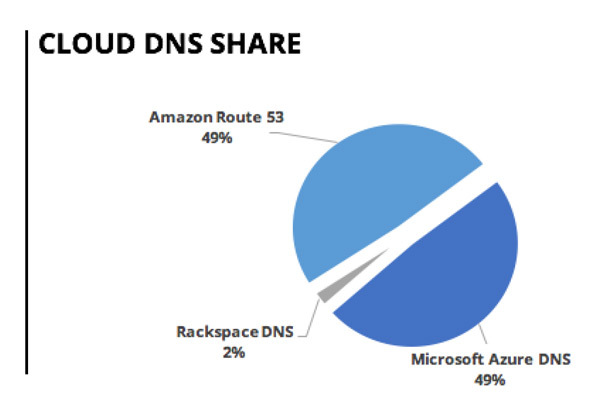 In this fast-growing market, Rackspace has just 2% of the market, while Amazon Route 53, part of AWS, and Microsoft Azure DNS own the other 98% of the market. These statistics aren't exactly music to investors ears. Investors were looking for strong 2016 guidance to give them some hope, but don't expect it, says Goldman Sach's Heather Bellini. "Based on historical patterns, we expect RAX to offer a 1Q16 revenue guidance range of ~$527-535mn (+10% to +11% yoy)," Bellini wrote, while cautioning that revenue seasonality "has become less pronounced over the last 2 years," with growth rates in the prior two first quarters of just 3.2% and 1.6%, respectively. Increased competition from tech heavyweights, a depressed share price for more than two years and little to no technical advantages make Rackspace, truly the worst stock in the world.